The three days of jam-packed Texas Hill Country fun wouldn’t have been the same had we not chosen to VRBO (Vacation Rental by Owner). True confession, I have always been a little skeptical about staying at a “strangers” house and truth be told I envisioned it as a opening line to a horror film (you know, completely normal, rational thoughts. Insert eye roll here.) 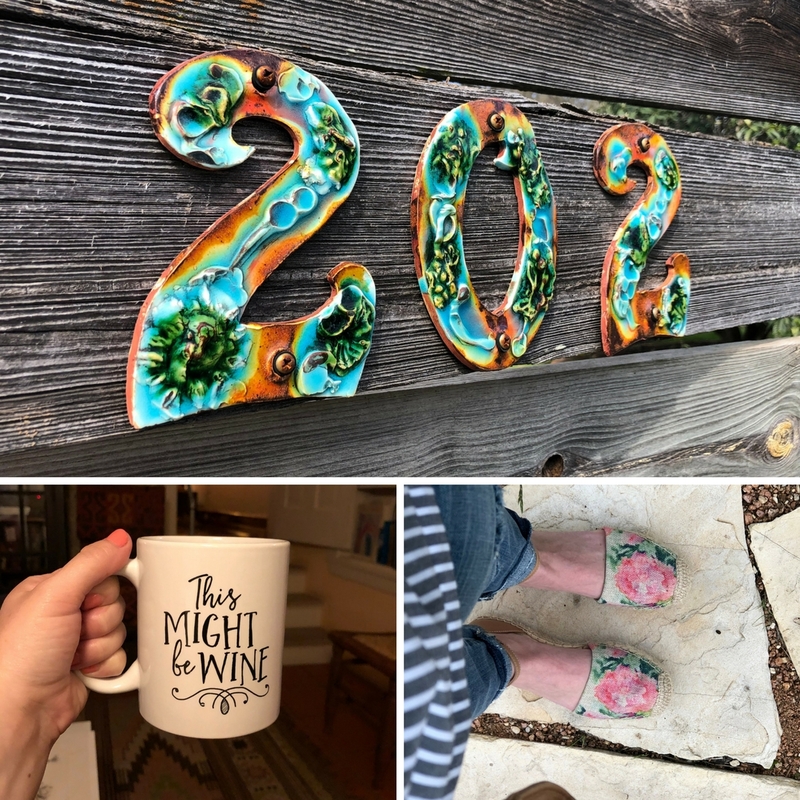 But that couldn’t be further from the truth, in fact, our VRBO experience was true bliss and it was the icing on the cake for our Texas Hill Country, Fredericksburg girlfriend getaway. We chose The Potter’s Cottage because of it’s proximity to main street and the charm that the property offered, we just couldn’t resist. The wooden privacy fence that lined the front of the home, the gravel drive way and elegant walk to the front door created a atmosphere that you where coming home to your very own secluded cottage in the middle of the Texas Hill Country. We walked through the front door into a cozy living room where, little did we know, that we would spend each night in our pjs, having a glass of wine, listening to music together as we just enjoyed life and endless laughter. Each morning we enjoyed the fresh fruit and coffee that the owner had generously provided as we got ready to experience Fredericksburg. And y’all, I’m am kicking myself for not snapping pics of the bathroom because the cast iron teal bathtub and soft pink bead board ceiling was an unexpected element that was definitely picture worthy. The property also offered two out door seating areas, giving you an option to rock your worries away on the front porch or relax on the back porch over a glass of wine and maybe even grill out if you were feeling adventurous! One of my favorite things about the cottage was all of the pottery and art that adorned each room of the cottage. From the windmill to cacti to the giant oak trees hugging the cottage, it was difficult to pack up Sunday evening to drive back to reality. 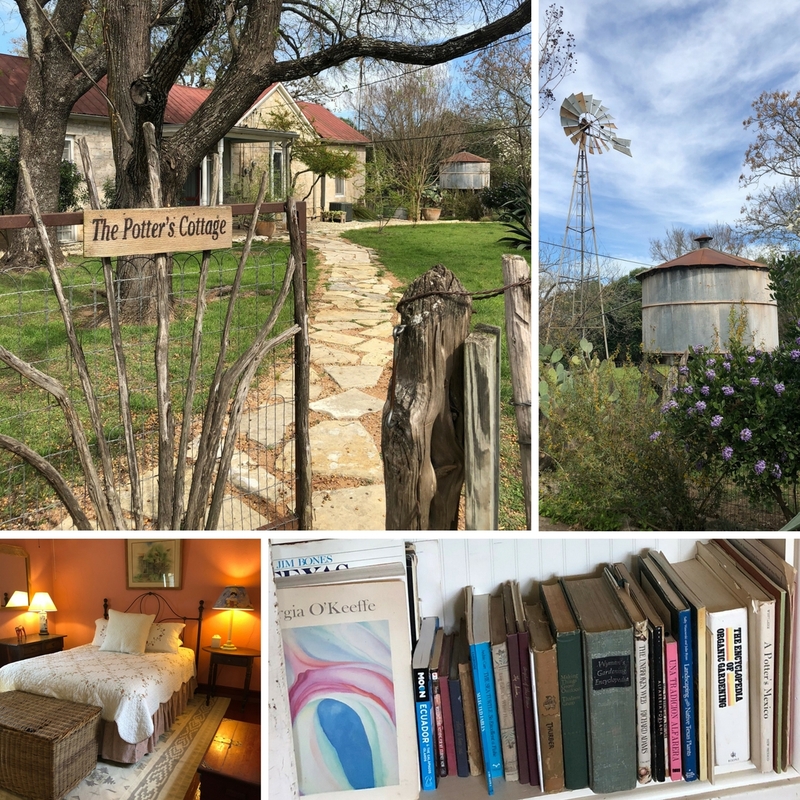 Although we spent most of our days away from the cottage and out enjoying the beautiful Spring weather, ending each day at The Potter’s Cottage was wonderful and it helped to create lasting memories for three girlfriends during their Texas Hill Country getaway. 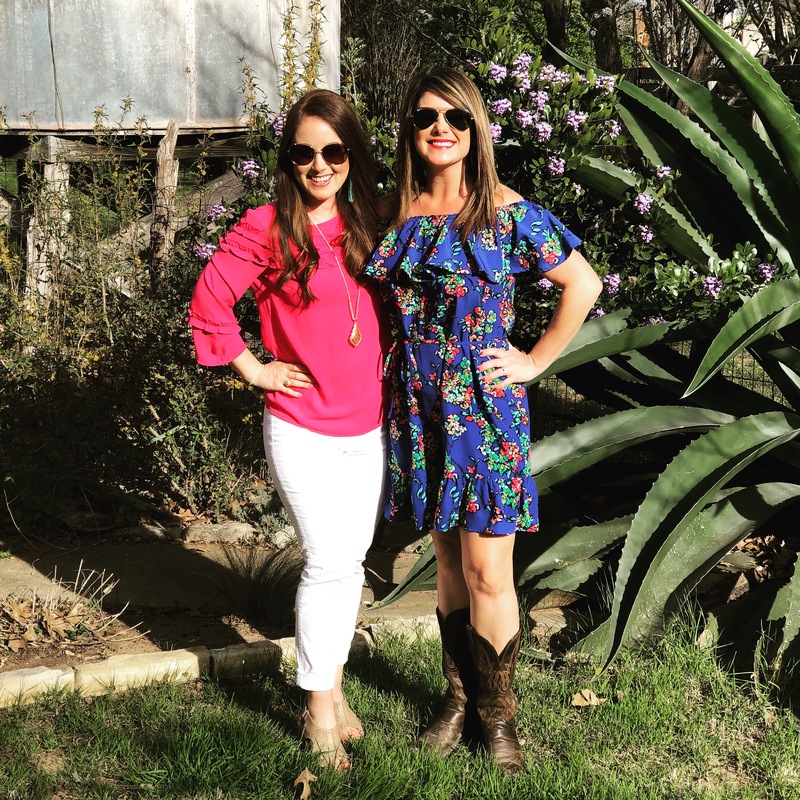 We can’t wait to make another trip to The Potter’s Cottage in Fredericksburg, Texas!